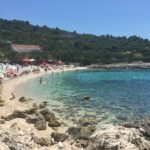 This is a 7 day/6 night self-guided inn to inn walking trip for walking enthusiasts who want to independently explore the best of the Croatian coastline. You’ll be walking along ancient Greek, Roman, and Venetian trails while discovering the local culture, wine, gastronomy and natural beauty of the Dalmatian Coast of Croatia – one of the most visually stunning areas in the Mediterranean. You’ll stay in excellent hotels and inns along the trip. All are 3, 4, or 5 star properties, chosen for their location in or near the best and most interesting sights. Start your hiking tour in the historic city of Split, taking ferries or boats each day from island to island as you hike on amazing island trails to local inns and hotels. You’ll visit the islands of Brač, Hvar, Korčula, and the Pelješac Peninsula before finishing your Slow Adventure in the historic city of Dubrovnik, the Pearl of the Adriatic! Welcome to Split, a 1700 year old Roman town! Meet our representative upon your arrival for an orientation and briefing regarding your walking tour along the Dalmatian coast and islands. Start your walk from your hotel in Split along the coast, passing beautiful bays and beaches. You’ll walk through the Marjan Park Forest, a famous recreational spot enjoyed by the citizens of Split. Discover the many charming churches and trails with amazing views of Split, the sea, and nearby islands. 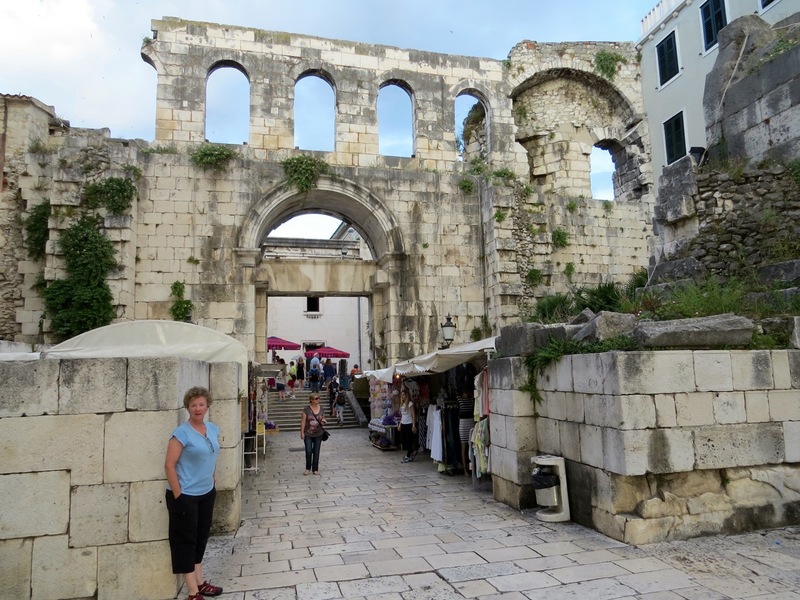 Later in the evening, you’ll walk along the old walls, and narrow, cobbled streets of Diocletian’s Palace. You’ll pass numerous bars, cafés, and restaurants serving fresh, exciting, Mediterranean food. Hiking distance: 5.5 or 9 miles + city walk (2h) Elevation gain: 590ft. 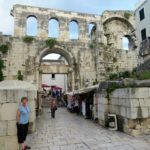 Highlights: Split, Park Forest Marjan, local beaches, farmer’s market, fish market, and Diocletian’s Palace. Start the day with a ferry ride from Split to the island of Brač. Once you arrive on Brač, you will have the option of an easy coastal trail from Supetar on the Lovrecina Bay or you can challenge yourself with a longer west side loop which takes you along olive groves, through the laid back village of Sutivan and then back along the coast to historic Supetar. 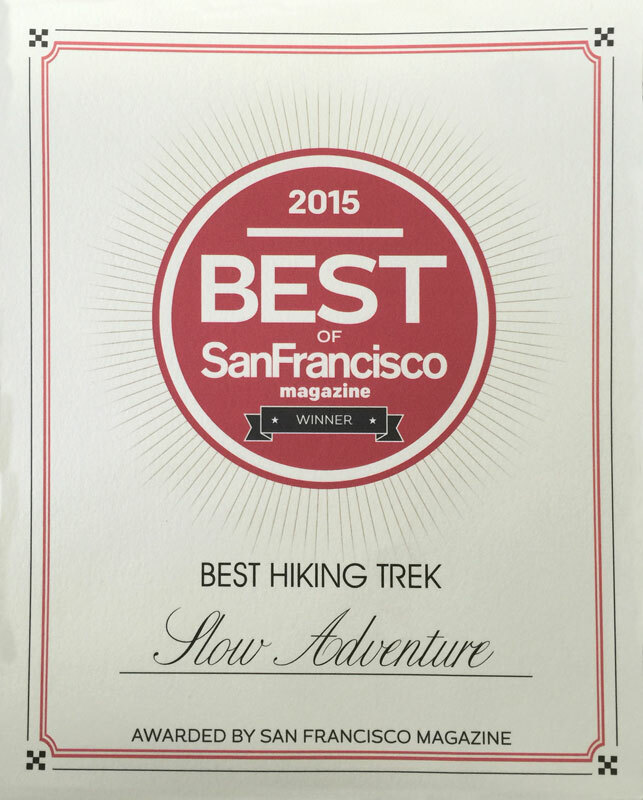 Or you can do both options, which will total approximately 15.5 miles. Whatever option you choose today, you will enjoy great views on the mainland, quiet coastal paths, discover ancient Greek and Roman ruins, and step into sleepy fishing villages. 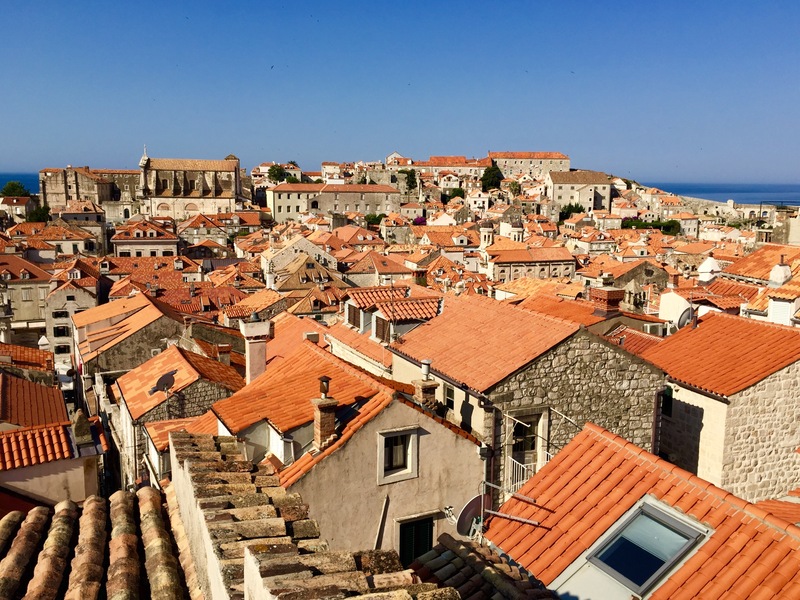 One of the trademarks of Brač is the stone and stone quarries – the White House in Washington, D.C., and Diocletian’s Palace are just some sites that were built with this stone. All the ancient villages and towns on Brač are an exhibition of fine stone work. 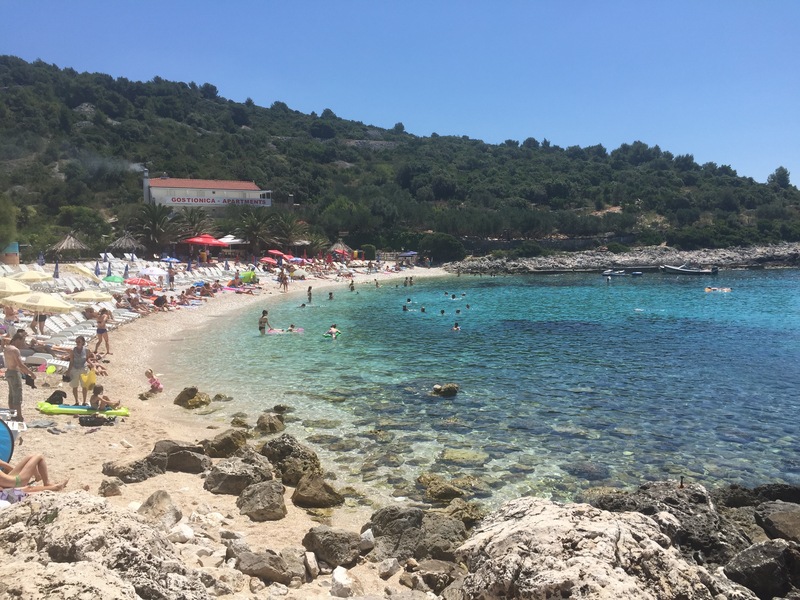 After your hike, you may have time to either swim at one of the many beaches surrounding Supetar, or discover other historical sites and local culture before you take the ferry back to Split. Distance: 8.5 -10 miles (Supetar and back) or 6.5 miles (west side loop) Elevation gain: 500-600ft. Duration: 4.5/3h Highlights: Island Brač, olive groves, fishing villages, and coastal paths. Today you depart for your 2nd island in Croatia, Hvar, rated as one of the “top 10 most beautiful islands in the world” according to Traveller Magazine. Cultural and historical sites, lavender fields, crystal clear turquoise waters, charming villages and towns are just some of the highlights this island has to offer. 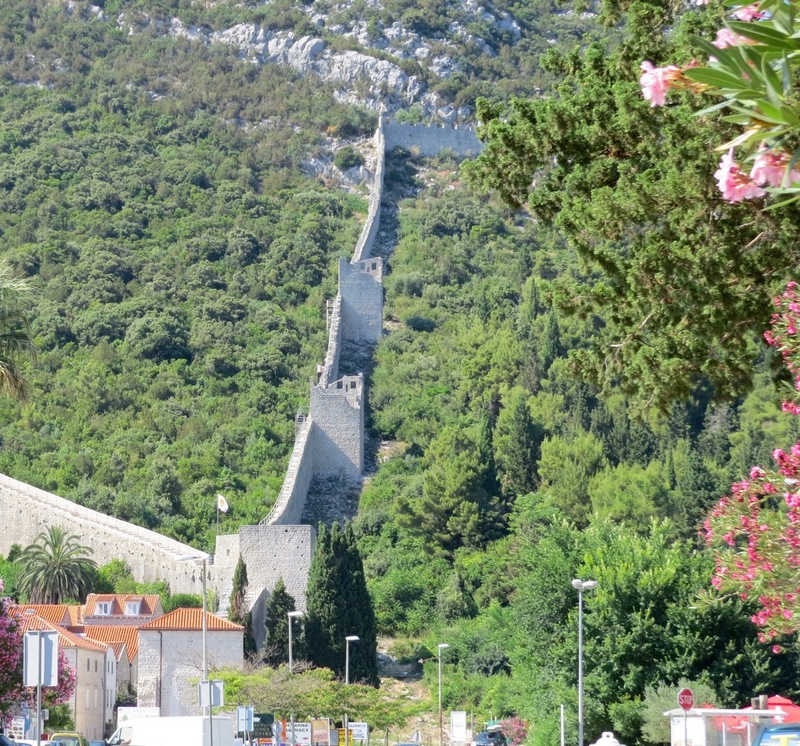 Take a “cultural walk” along the narrow streets of Stari Grad town, literally translated ‘The Old Town’. Founded in the 4th century B.C., this is one of the first Greek colonies in the Adriatic. Enjoy the numerous charming squares, restaurants and cafés of Stari Grad, before you depart on your journey to the south coastline of Hvar Town. You’ll pass through abandoned villages, once famous for lavender and rosemary oil production; olive groves, fields of lavender, and discover hidden beaches with turquoise seas. In the afternoon, treat yourself with a well deserved coffee or aperitif at one of the numerous bars along the Venetian influenced piazza of Hvar Town before dinner! Distance: 7.5 miles + 1 mile city walk Elevation loss: 1,000ft. 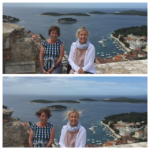 Highlights: Inland villages of Malo and Velo Grablje, lavender fields, secluded beaches with turquoise seas, Hvar Town. 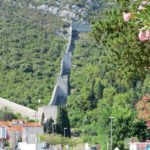 After a leisurely breakfast this morning, we suggest walking to the Fortica Španjola– a fortress located on the hill above Hvar Town, where the latest renovations were done in the 16th century. The hike to the fortress gives you an unforgettable panoramic view of the city, its surroundings and the Pakleni Islands. If you are interested in some beach time, you might want to take a water taxi to Pakleni Islands, a small but beautiful archipelago located right in front of Hvar Town where you can enjoy an easy walk, swim in secluded bays, and have a nice lunch overlooking the Adriatic! Later in the afternoon, you will depart by boat to Korčula, where you will spend the next 2 evenings. Distance: 2 miles Elevation gain: 300ft. 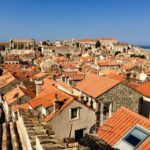 Wake up to your 3rd Dalmatian island– Korčula! The island is considered to be the hometown of Marco Polo, the famous world traveller, where his Silk Road began. Korčula used to be a Greek colony, dating back to the 4th century and was called Korkyra Melaina (Black Korcula). Nowadays, the island is famous for the production of the best Croatian white wines – Pošip and Grk. The hike today takes you along a nature park with amazing rock formations and wild life. The walk itself is very peaceful and relaxing, in the unusual but very pleasant landscape for the Dalmatian karst region. The area contains dolomite rock formations and is densely wooded. Following the nature park, you’ll continue along the ancient Napoleon path, along olive groves, small vineyards, small fields of sage, oregano, and many other healthy herbs. The hike ends in the village of Pupnat, where you have the option to enjoy a unique lunch prepared by the Farac family. Most of their ingredients come from the fields that you have been walking through. Spend the late afternoon in medieval Korčula and explore its cobblestone streets, whitewashed buildings and other architectural masterpieces made in the Gothic and Renaissance style. Distance: 8 miles or 5 miles (can be extended) Elevation gain: 1100ft. Start the morning with a short boat ride to the Pelješac Peninsula and the town of Orebič. The town was founded in the 15th century and is famous for its maritime tradition and still features many charming stone houses of the once famous sea captains. From Orebič, you’ll start your hike along the southern slopes of Mt. Ilija, where you’ll pass secluded vineyards, an old Franciscan monastery, and enjoy stunning views of Korčula and the Pelješac Archipelago. Once back to the coast, you’ll enjoy a scenic walk along the waterfront of Kučište and Viganj, both laid back Dalmatian villages. Later this afternoon, you will visit the important and historic village of Ston, home of the world’s second longest stone wall and the ancient salt works. You’ll be driven from Ston to Dubrovnik, the “Pearl of the Adriatic”, where you’ll spend your final evening. Distance: 6 miles + 2.5 miles (Ston walls) Elevation gain: 700ft. Today, after breakfast, take a walk in the Old City of Dubrovnik. Stroll along the ramparts of the Old City; glide along the marble streets and plazas; step into the hallowed naves of the many gothic churches; study the fascinating Baroque architecture; and envelop yourself in the very rich history of the once very important Republic of Dubrovnik. This walk will serve as the perfect finale to your Dalmatian Coast adventure and you will be ready to return home enriched by the discovery of one small but beautiful Mediterranean country! $1795 pp double occupancy with one or two beds; $2395 for your own room when traveling with others; $2795 if you are a solo traveling alone. $500 NON-REFUNDABLE DEPOSIT required when booking the trip. Full payment for the trip due 60 days prior to trip starting date. Please click here and tell us your preferred trip dates, your traveling companions, and any other relevant information. We will send you a reservation form and invoice for the deposit. Walking down the road to the coast in Brac is one of my absolute favorite memories. We are still talking about this trip every time we see each other! 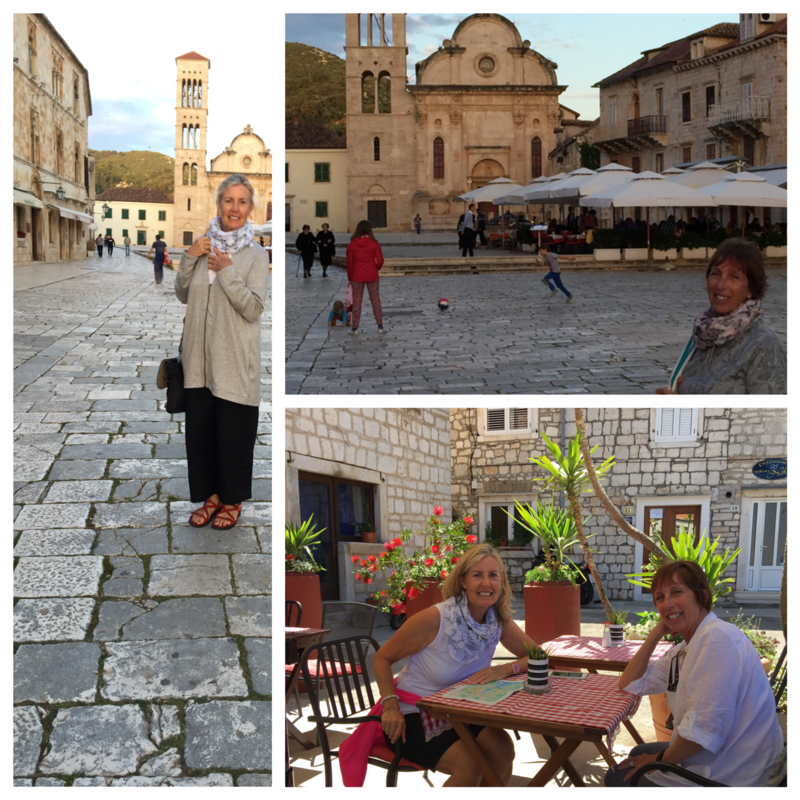 All in all… This was the best way to enjoy the Dalmatian coast….getting to know the area “first hand” or “first foot”— Slow Adventure style. We had an absolutely fabulous trip and really loved the balance of walking in nature and discovering culture in villages or cities. For me, there were no negatives. I really loved it all.